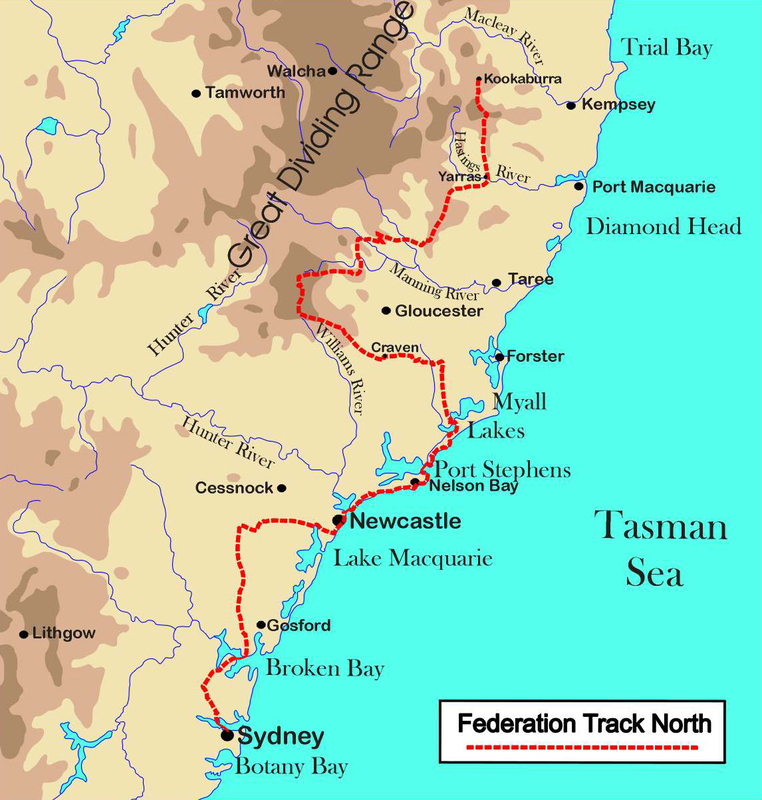 Across Bucketts Way, the track follows forestry roads and fire trails up into the beech forests of Gloucester Tops and Barrington Tops to the stunning vistas from Lockies Lookout and Careys Peak before traversing Barrington Tops to the camp at Polblue Swamp. 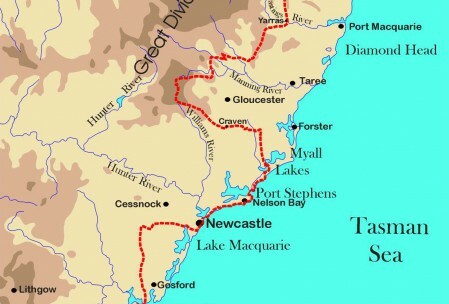 At Polblue Swamp the Federation Track leaves the Tops to Myall Track and heads north-east through remote national parks and state forests to the Manning River and Barnard River. Forested ridges and golden valleys are traversed before the walking route climbs alongside Mountain Creek up to Baxters Ridge.